Timber is used in nearly all buildings, and in some situations the timber has been in place for many years and is showing some signs of decay, infestation or both. However, the correct diagnosis of the cause is crucial as extensive works can be carried out on a property but the initial cause may not be rectified, meaning that the problem will return in time. In other cases, a misidentification of a particular wood boring insect can lead to works that are unnecessary and ineffectual in the medium to long term. As a Property Care Association certified surveyor I am able to identify the cause and, if needed, give a schedule of works that will allow you to get identical quotes from contractors. This means that there will not be any need to work out what each contractor is quoting for, and what cost is associated with which treatment. With many years experience within the industry I am able to offer surveys based on an expert view, not based on profit margins or poor diagnosis. This means that, whilst the survey is an upfront cost, the savings that can be made on the works will greatly outweigh the cost of the report in most cases. I aim to undertake any survey as quickly as possible and then return the report within 24-48 hours. This minimises the inevitable stresses and strains associated with this kind of issue and I am available to talk after the event should the need arise. Timber is an amazing building material capable of withstanding great loads for many years and adaptable to so many situations, but its nemesis is water. 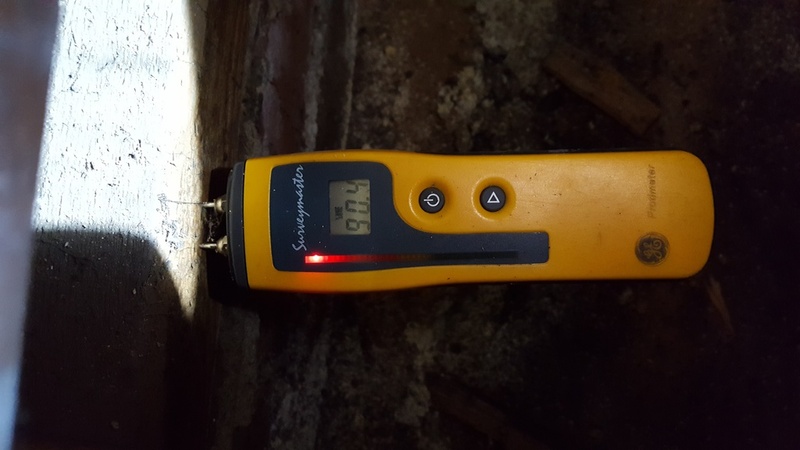 If left in contact with damp for prolonged periods the timber will slowly absorb some moisture, and once it reaches a critical point of saturation it will start to become susceptible to fungal attack and also attack by some wood boring insects. There are two general types of wood rotting fungi, white rot and brown rot. White rot will cause the wood to become light in colour and fibrous whilst brown rot will leave some of the structure intact and it cracks along the grain of the wood whilst darkening in colour. The most infamous form of white rot is Serpula Lacrymans also known as dry rot. It can cause major problems in buildings and can spread through timber and brickwork to find new sources of food and moisture. Given the right conditions this can mean that it will spread many meters from its original growth area to find a new area to populate. 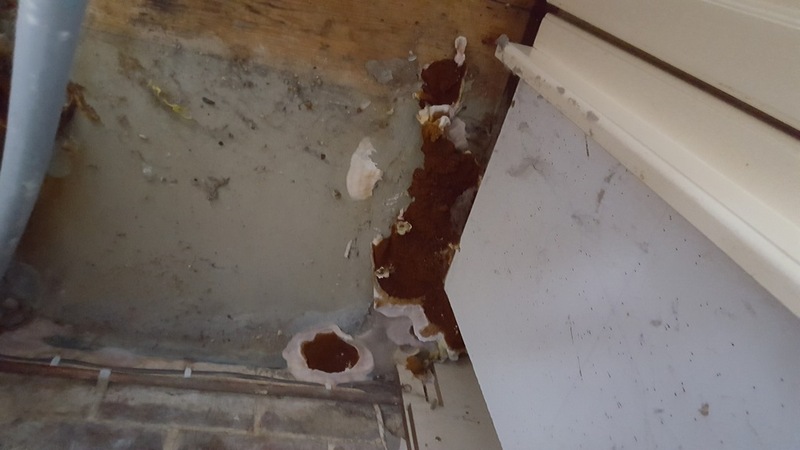 However, it’s not all bad news as the conditions that allow dry rot to thrive are limited and the usual trigger is damp ingress within the building, so if you remove the damp then the fungi will stop growing and go dormant, then after a few years it will die off as long as the damp doesn’t return. This doesn’t mean that there will not be works required as the rot will invariably have done quite a lot of damage before it is dealt with, and in big outbreaks these works can be extensive. Other rots fall into the wet rot designation and there are a number of these that can occur. 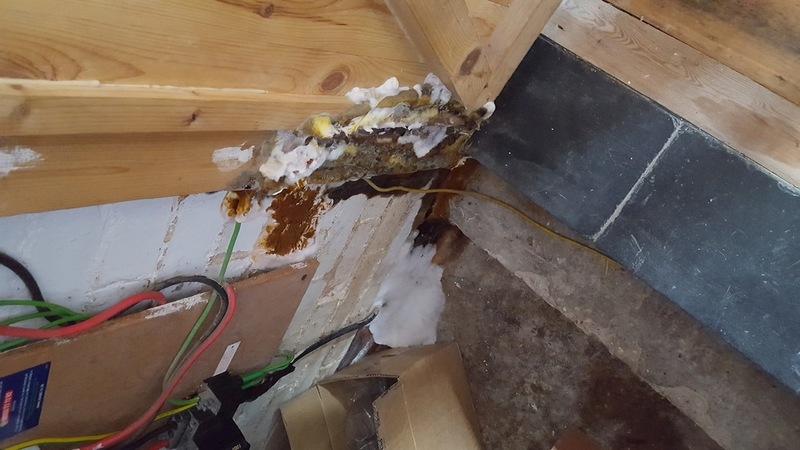 The works required are generally less than dry rot outbreaks but as with dry rot the cause of the outbreak is usually damp ingress, so once the damp is removed the works will be limited to replacing damaged timbers and treating the affected area with a fungicide. There are a number of insects that use timber as a food source and if left to their own devices then some of them can cause serious structural issues. On the other hand there are some out there that do not need any treatment as they either did their damage while the wood was still out in the forest, or they will only attack the outer parts of the wood which will not affect the structure. With the above in mind it is essential that correct diagnosis is found before any treatment is put in place as in some cases it may not be required and in others it will not be effective on the particular insect you have lodging in your timbers. This is by far the most common beetle found, and can cause quite extensive damage if left to it’s own devices for long enough. It mostly attacks the sapwood of softwood so can be found in flooring timbers, roofing timbers, the under stairs area, some furniture and older man made sheet timbers that used animal glues. The Deathwatch Beetle is found mostly in damp or decaying hardwoods such as oak and rarely attack softwoods. This means that they are mostly found in historic buildings and as such are quite unusual, but if found they can do a lot of damage and are tricky to eradicate so identification is essential. The powderpost beetle attacks the sapwood of hardwoods and usually arrives in a property on newly seasoned wood. Given time it will eat all the outer sapwood leaving only the inner heartwood. It is not found very often but can cause big issues if left without identification and treatment. These are nastly beasts but luckily they are only found in isolated areas in the South West so should not be a problem in my survey area. Where they are found they need to be reported and in the problem area there are special measures imposed by building control for any construction. The weevil can be misidentified and common furniture beetle, but it is only found in timbers that are affected by damp and rot, so they are really a secondary issue. If you remove the damp timber and the cause of the damp then the beetles will go away.